We supply this high quality industrial grade instant adhesive remover in either 50ml or 1 litre sized bottles. 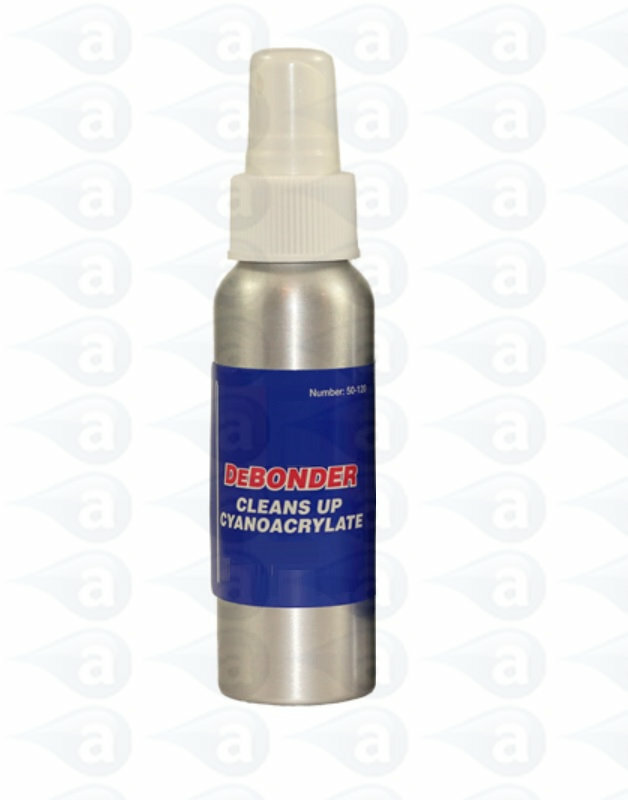 This is a useful adhesive DeBonder for removal of Cyanoacrylate adhesives. Adhesives are supplied with a Technical Data Sheet (TDS) and Material Safety Data Sheet (MSDS). Adhesive DeBonder. Ideal for fast and easy removal of surplus cyanoacrylate adhesive or un-sticking of fingers (not eyes or mouth). Non flammable liquid. Supplied in a convenient to use 50ml size bottle or bulk value 1000ml can. All materials are shipped with TDS and MSDS. Summary: Industrial grade medium Cyanoacrylate instant adhesive in 50 ml or 1 Litre size bottles.